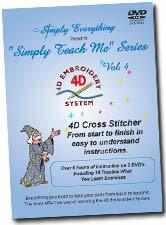 Finally an instructional CD for the Husqvarna Viking 3D Embroidery Studio! 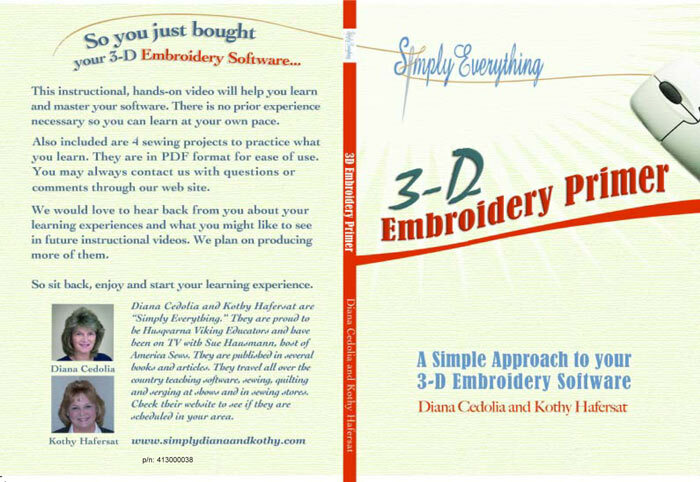 Diana Cedolia & Kothy Hafersat have produced this instructional CD of 3D Studio, with voice narration, for the beginner (3D Professional System or stand alone module). 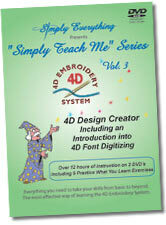 This “3D Embroidery Primer” a simple approach to the 3D Embroidery Studio software will help the beginner in understanding 3D Studio. The instruction is over 2 ¾ hours. It covers the icons, when and how to use them as well as the fonts and shapes. 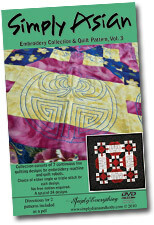 It is designed to be used in a hands-on approach simultaneously with the actual software. They learn and click at their own pace. so the student may create what they have learned.